The 2019 Tennis Classic will be held Friday, April 12th thru Sunday, April 14th at Oak Hollow Tennis Center. Register Today. One hundred percent of all proceeds raised from the fundraiser will go into the programs that benefit the youth in our community. If you are interested in buying only raffle tickets, please contact krista@bbbscp.org. See you Wednesday at the DRAW party. 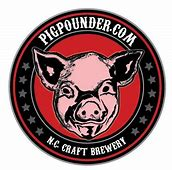 The Spider Digital Tennis Classic will host a Draw Party at Pig Pounder Brewery’s Pavilion in Greensboro. The Draw Party will be Wednesday April 10th, from 6:30-9:30. All registered players will receive a beer or wine ticket. Guests are welcome for donation at the door! Players must indicate their current USTA NTRP rating. Players without a current NTRP rating may self-rate according to USTA NTRP characteristics. No refunds-please consider this a charity donation in the event of withdrawal. BBBS reserves the right to No Ad Scoring format in the event of inclement weather and may be used in Consolation matches based on the size of the draw. First match Consolation with the exception of Mixed Doubles. 2 matches guaranteed. Because of the size of the draw some play will occur off site and on hard courts.